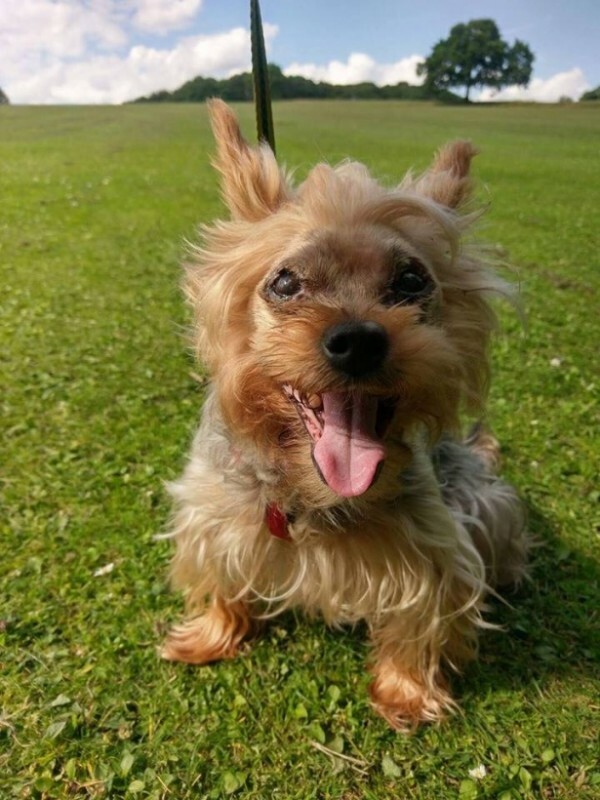 Suzie is a very friendly little Yorkshire Terrier who is 9 years of age. She is a fantastic little character who loves to be the centre of attention and loves having lots of fuss and cuddles! 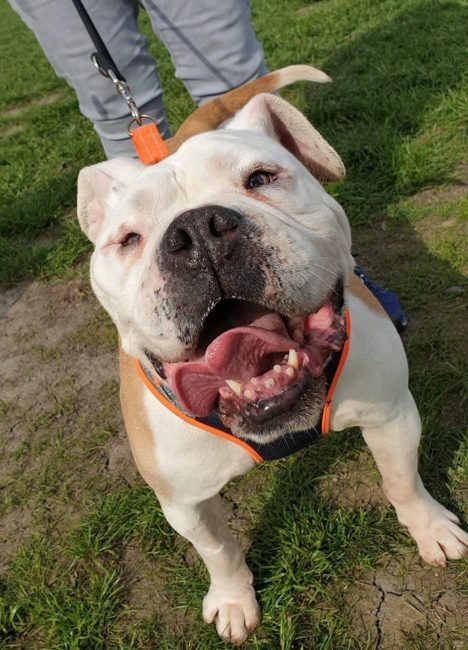 Suzie came to us with a very painful eye condition (entropian), she’s now fully recovered from an operation to fix this and she’s feeling so much better now she’s no longer in pain! She is currently living in a foster home where she’s settled in perfectly after a few days of being unsettled. She is now fully housetrained and fine to be left for a few hours (she settles best in a crate), she does need to sleep in the bedroom with her owner at night though! She is living with a cat, who she is fine with now, but would chase new cats until she realises she’s not allowed to! She can be a madam around other dogs, and doesn’t like dogs in her face, but is OK with calmer dogs once she has been properly introduced. We would like her to live as the only dog, but she could live with a confident cat. She’s fine with children, but a quieter retirement home would be best for her now (she will be fine with visiting children). 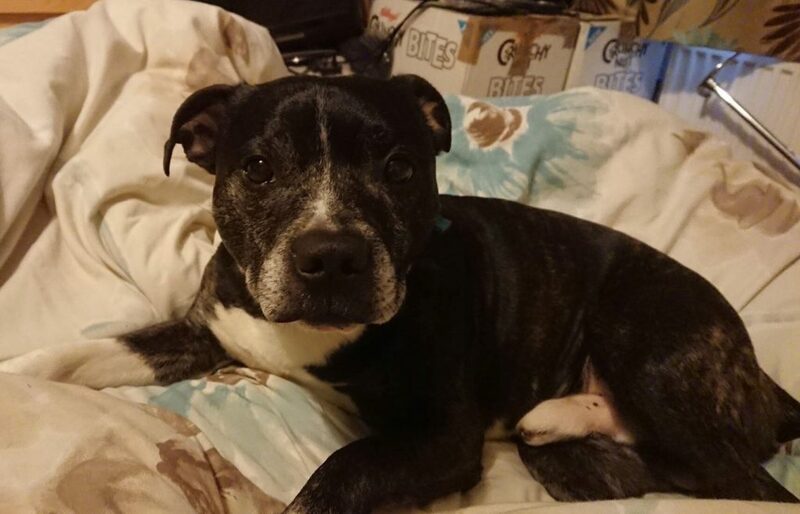 Suzie loves getting out and about on her walks, so a home where she will have a couple of good walks a day would be perfect. She also travels well in the car. Little Suzie will make a wonderful little companion and deserves to be spoilt rotten in her new home. This entry was posted in Female, Good with cats, Good with kids, Happy Endings, Small by Amanda HYPS. Bookmark the permalink.